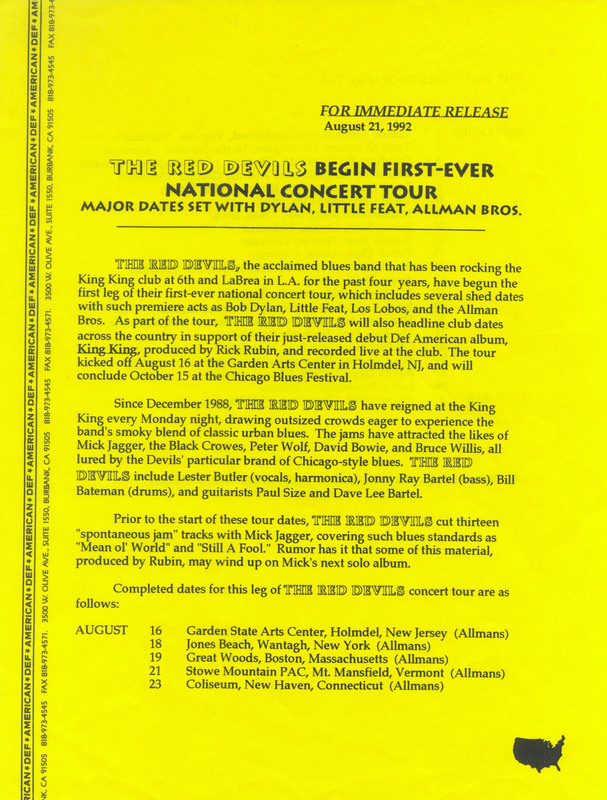 Also inside: A little two-sided press release with tour dates for the Devils’ first-ever national tour. This was before Pinkpop, and before Moulin Blues, both in 1993. 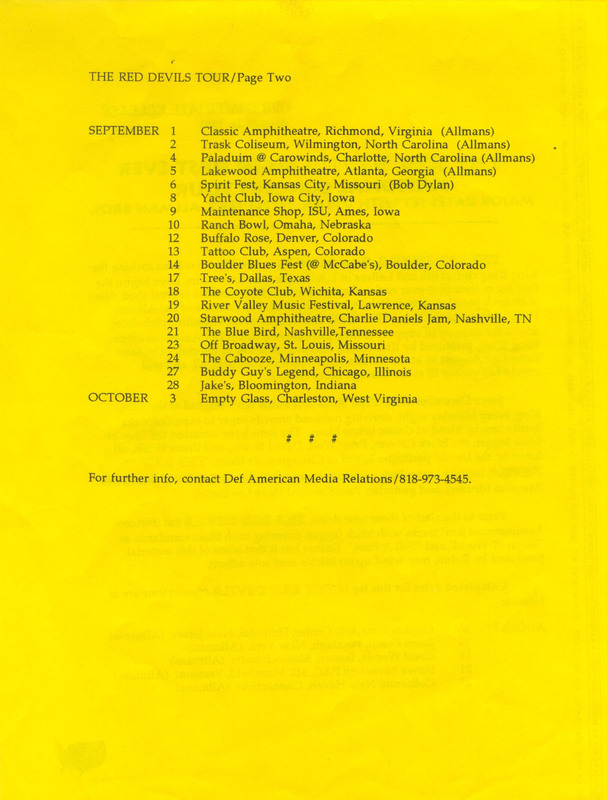 However, the Bloomington, IN, date was changed. Finally, there is a little article from Variety Magazine, dated July 27, 1992. 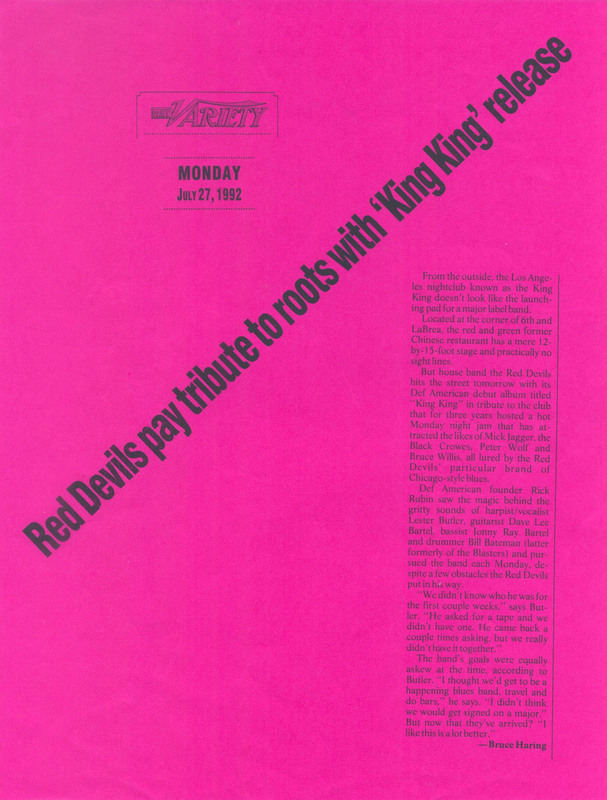 Not much new here, though it does give a release date for “King King” — Tuesday, July 28 — and reinforces the Rick Rubin-Devils storyline. Now, there was an 8×10 photo of the band that came in the release, but that one went to my editor, who used it with the review I wrote of the show. And I really didn’t think I was going to need it for a blog I was going to write 17 years later! The whole thing came conveniently wrapped in a Def American paper bag. 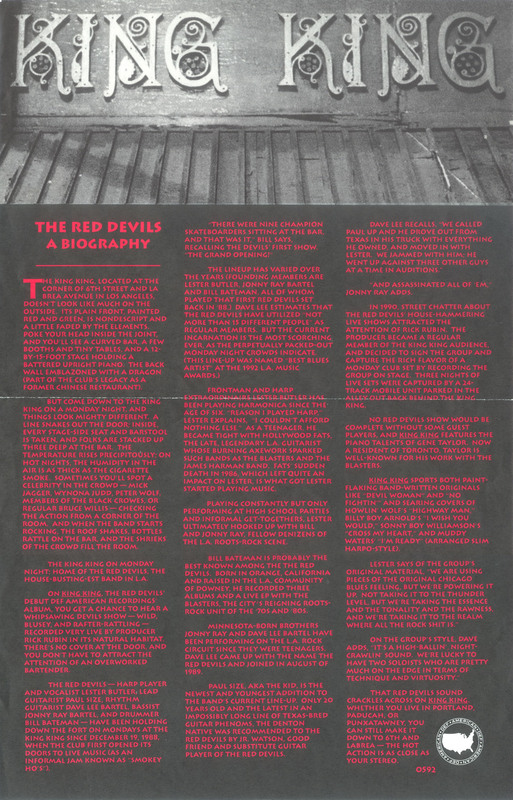 Someone (not sure who) took the time to scribble “Red Devils,” so that it wouldn’t get lost. 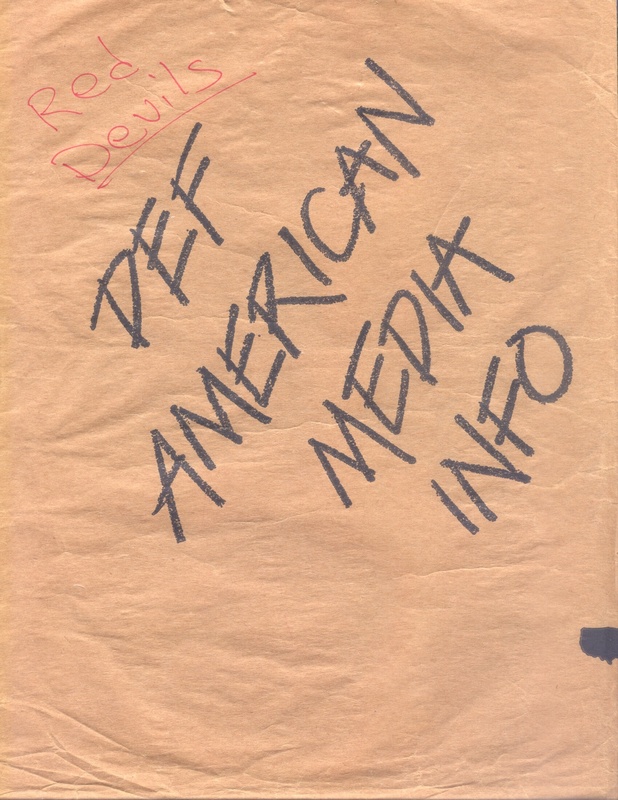 This entry was posted on February 11, 2009 at 6:48 am and is filed under red devils with tags blues, def american, hollywood fats, junior watson, king king, music, red devils, rick rubin, variety. You can follow any responses to this entry through the RSS 2.0 feed. You can leave a response, or trackback from your own site.